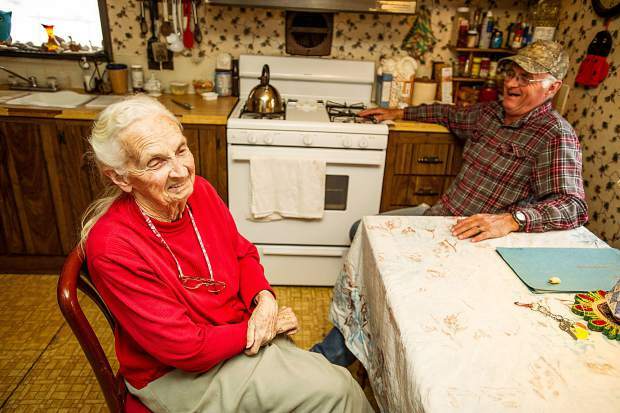 Harriet Noyes and her son, Hiram Noyes, laugh at her kitchen table Sunday as they reminisce about life in the upper Roaring Fork Valley before the advent of skiing and incredible wealth. When Harriett Noyes’ mother and father started the Phillips Trailer Park 50 years ago, the concept of affordable housing did not exist. But when her mother’s health began failing in the late 1980s — her father died in 1985 — and Harriett returned to help run the family business between Woody Creek and Old Snowmass after decades in Utah, the concept was immediately obvious to her. Trailer park tenants at the time also likely noticed another difference between Harriett and her mother, Ellamae Phillips, she said. Ellamae thought of her renters as a means to pay the bills and often argued and fought with them, Harriett said. “For her, the renters (didn’t provide) a good bond,” Harriett said. Hyrum Noyes, Harriett’s son, agreed. “My grandmother loved a good argument,” he said. But for Harriett, the landlord-tenant relationship was different. 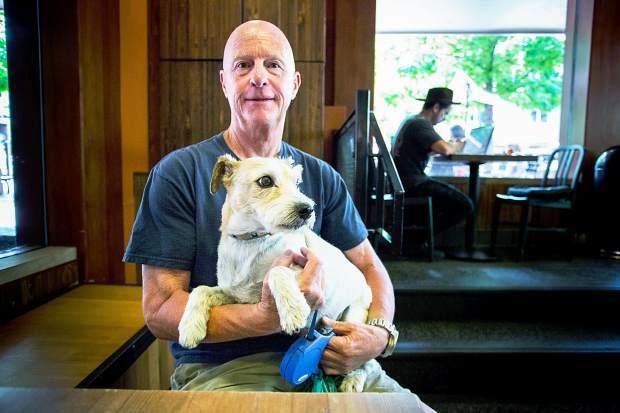 So after 30 years, when Harriett’s health and age began telling her it was time to slow down, she said she never considered a retirement solution that didn’t include a future for her renters, most of whom work in Aspen. The family could have chosen to sell the property on the open market, though that would have certainly spelled the end of the trailer park. Hyrum, who is 60, said a developer once offered him $35 million for the 76-acre property with the express demand that he get rid of the renters. 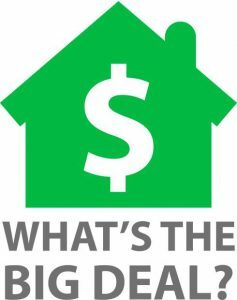 So instead of grabbing the big payoff, Harriett and Hyrum and the rest of their family recently sold the trailer park to Pitkin County for $6.5 million. The sale includes 35 mobile homes, four cabins, an old ranch house, three-quarters of a mile of river frontage on both sides of the Roaring Fork River and three irrigated pastures. Hyrum, who helps run the park, and Harriett have raised the rent just twice in 25 years, Hyrum said. Current rent is $350 a month for those with their own trailers and $450 a month to rent a trailer owned by Hyrum and Harriett. “I had a feeling for the underdog,” Harriett said. “And I had a feeling for the everyday workers of Aspen because Aspen didn’t take care of them. 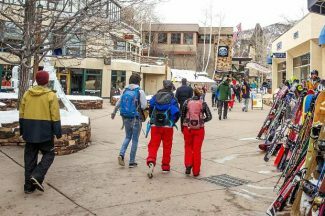 Pitkin County will spend the next year or so meeting with residents and residents of the surrounding area to decide what to do with the trailer park, county manager Jon Peacock said. Options could include allowing residents to purchase land for their trailers, keeping it as all-rental, adding more affordable housing and changing the layout if it is deemed unsafe, he said. One upgrade that must happen is the construction of a sewage plant to replace the aging septic system, Peacock said. Initially the county will run the trailer park outside of the Aspen-Pitkin County Housing Authority, he said. The county hired Hyrum Noyes to remain as property manager through the transition. Once the management plan is implemented and deed restrictions are in place, it could come under APCHA governance, though there’s nothing that says it must, Peacock said. In the meantime, renters and owners will have to abide by APCHA guidelines. Harriett said that with many family members divvying up the county’s money, no one is becoming an instant millionaire. “I’ll be lucky if I get a dollar,” she joked. “I plan on working until the day I die,” Hyrum said. 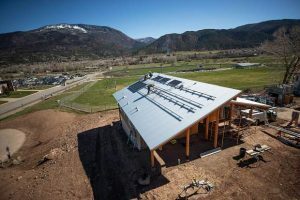 And while Harriett recognizes that the county might raise the rent, she’s happy her renters will continue to have a home in the upper Roaring Fork Valley. “As far as my renters, I love them,” she said. Deb Bamesberger, who works in the Pitkin County Assessor’s Office, moved to the Phillips Trailer Park in 2000. Her rent started at $250 a month and has gone up $100 in the interim years, she said. “I love living there,” Bamesberger said. “I live in paradise. I couldn’t ever imagine living somewhere else. It’s a neighborhood. We all talk to each other and do stuff for each other. And her admiration for Harriett is palpable. “She protects us,” Bamesberger said. “She’s never let money control her life. She truly cares about us — not just a few of us, all of us. Harriett is a Roaring Fork Valley native. She was born in 1930 on the Vagneur Ranch in Woody Creek and moved to the Phillips Trailer Park property after her parents bought it in 1933 for $500, she said. “We picked potatoes to pay the bill,” Harriett said. Her father, Concer Phillips, later built a few cabins on the Roaring Fork River for fisherman, and the family gradually made the property into a smallish resort, she said. Harriett recalled entertainer Red Skelton and the cast of the TV show “Bonanza” visiting. Ellamae and Concer started the trailer park in 1968 as an outgrowth of the resort to supplement their income, she said. Sitting at her kitchen table last weekend, she remembered traveling to Aspen with her mother during World War II, after her mother made drapes for the Hotel Jerome. She recalled dances and mixers and a sense of community that has mostly disappeared into the past. “(Aspen) was more quiet, laid back and more friendly,” Harriett said. “Everybody was your friend.